Frota Academy has recently helped organize another prestigious camp in cooperation with BJJ Private Camps. This time the Guest teachers were none other than elite bjj female competitors Mackenzie Dern and Gezary Matuda! Everyone had the opportunity to meet and learn from two of the world’s top BJJ competitors: World Champions Gezary Matuda and Mackenzie Dern. 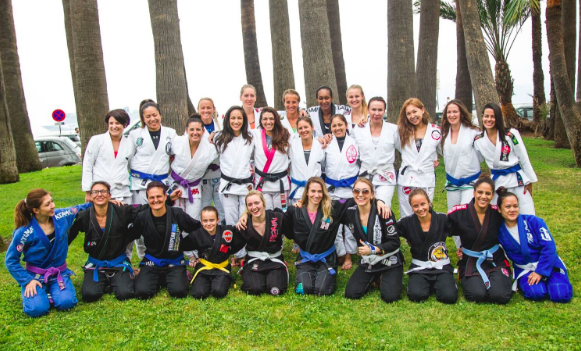 The camp had double the number of girls of last year: 40 and was held in Cannes, France from 22nd till 24th June and featured daily BJJ training, Yoga on the beach and lots of socialising and fun for the girls! All in All, this camp looks like another seminal event that will certainly influence, if not shape the success of those who attended. Commitment to organizing this type of events is how Frota Academy earned the reputation of one of themost luxurious academies in the world. BJJ Private Camps really knocked it out of the park with this one, for a chance to book a spot in one of the upcoming exclusive camps check out their website by clicking here!